Increased feelings of loneliness. “Know your competition,” we’re told. “Understand what makes them tick.” “Recognize their weaknesses.” Study them, not to understand them, not to empathize, not to draw them closer, but to beat them, overcome them, go beyond them, outshine them. When competition is the exclusive frame we can’t help but drag it into our relationships. When we do, the competitive orientation takes us away from others, making it almost impossible to step toward others with curiosity and interest and openness. Instead, competition requires we orient ourselves to others by looking for advantage. Relationships can’t sustain themselves through an ethic of advantage. Trust slips away and what we are left with is suspicion, hesitancy, and an overwhelming sense of loneliness even when we are in another’s company. An unwavering belief in competition can’t help but mark us in ways we hardly ever recognize at the moment. It lessens our sensitivity to others and narrows our tolerance for suffering—drawing us away from those closest to us by focusing our attention on how others are different from us and how we are different from the rest. When we approach relationships through this frame, we can’t help but see difference as a threat, rather than a means of understanding and as an opportunity for deep connection. Reduced self-value. We’re constantly told that competition brings out the best in us. It seemingly helps us rise to the occasion. And it might—on a playing field—when the metrics of evaluation are clearly measurable. But in our most sacred of relationships—when there is no scorecard and there are no clear rules—competition makes it so difficult for us to be anything but antagonistic. So we open our mouths and start talking. We tell and list and constantly remind others that we are different and special and distinct and not like everyone around us. Proving importance, unfortunately, doesn’t draw us closer—it repels others from us because it serves as a type of force field, requiring others to stand back in awe. Competitive accomplishments look and sound impressive. But these same accomplishments also give the impression that our accomplishments are the only parts of us that matter. Over time, we delude ourselves into believing that we, alone, are incomplete—under construction, awaiting some accomplishment that will make us whole. And so we spend so much of our time with others trying to get noticed, appreciated, and respected, relating to others not to connect, but to remind ourselves that we are special. Unending restlessness. Competition is an incredible motive for action. But this motive knows no rest. There is no end point. No moment of celebration that allows us to revel in what is—rather than what could be and what should be and what can be better the next time. Competition is the elusive elixir of the future—always requiring us to neglect what and who is in front of us for the mental satisfaction we believe we’ll experience when . . .
With competition, something is always guaranteed in the future. Next week. Next year. It’s just around the corner. The present, and the people who inhabit the present, however, are reduced to a mere means to eventual and promised satisfaction. When the people we interact become mere pawns, we can’t help but look through them, not make something with them. On the other hand, in relationships of care, we make our futures with one another—now, not later. Now, not later, is what makes possible relationships of openness and appreciation and satisfaction. When I’m stuck in a cycle of competition, I know exactly where I stand. It’s apart from the world, even though those closest to me might be right in front of me. They are present, but I’m not. My mind is seeking respect and acclaim and appreciation miles away from the voices and needs and smiles and concerns of those I can hear and touch. If I allow myself to embrace collaboration and connection—not just competition—the dark shadows of my unmet needs are momentarily forgotten. Then, and only then, can I give myself permission to appreciate the fact that care and connection have no prerequisites for participation other than willingness. Relationships of care don’t ask who you are. They won’t ask you what you’ve accomplished or what you’ve achieved. 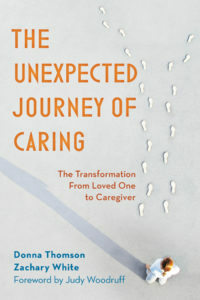 Care doesn’t privilege our past or future—care is a radical commitment to the present that so few allow themselves to embrace even though deep connection can always remind us that what we need is right in front of us.